INDEPENDENT REAR SUSPENSION: A fully-independent rear suspension delivers 9.5 inches of travel for a terrain capable ride. High performance rear shocks tout easy to adjust preload capabilities so you can tailor our legendary smooth Polaris ride just for you. 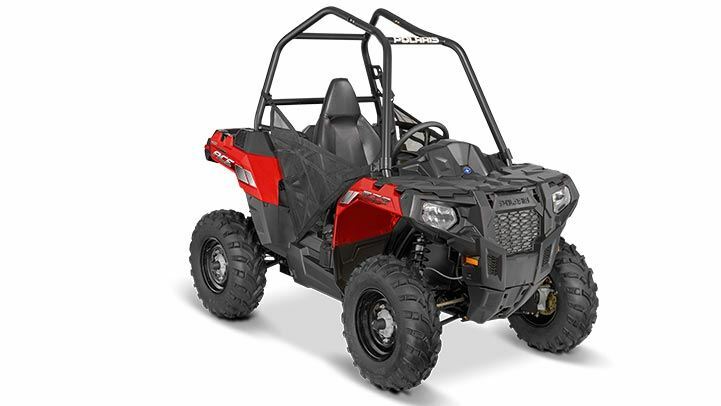 EASY INGRESS AND EGRESS: No need to throw a leg over anything, the open and flow-through design of the Polaris ACE™ cockpit makes for easy entrance and exit of the vehicle. ADJUSTABLE STEERING AND SEAT SLIDER: Pull back on the lever to position the steering wheel for a perfect fit and optimum control. Raise the wheel completely or combine with 4" of seat slider travel to ease entering and exiting. POWERFUL PROSTAR® PERFORMANCE: The powerful 45HP ProStar® engine gives you the power to tackle almost any trail. It features dual overhead cams, 4 valves per cylinder, and electronic fuel injection to precisely deliver the fuel charge for instant, predictable throttle response. ON-DEMAND TRUE ALL-WHEEL DRIVE: Featuring the same legendary system found on nearly all Polaris off-road vehicles, the On-Demand True All-Wheel Drive system eliminates the guesswork by automatically selecting two-wheel or four-wheel drive. All you have to do is sit back and enjoy the ride. HIGH CAPACITY RACKS AND STORAGE: Polaris off-road vehicles have built an unprecedented reputation for work and the storage capability of the Polaris ACE™ is no different. 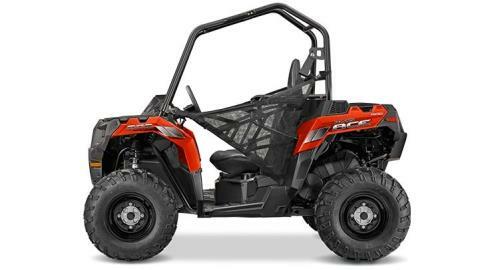 With an integrated front storage compartment and high-capacity cargo box, the ACE can carry up to 360 lbs of gear. REAR CARGO BOX: Cargo capabilities of the Polaris ACE™ are as diverse as the machine itself thanks to a Lock & Ride equipped cargo box with built in rack-extenders and integrated tie-down rails to securely carry all of your gear, wherever the trail takes you. 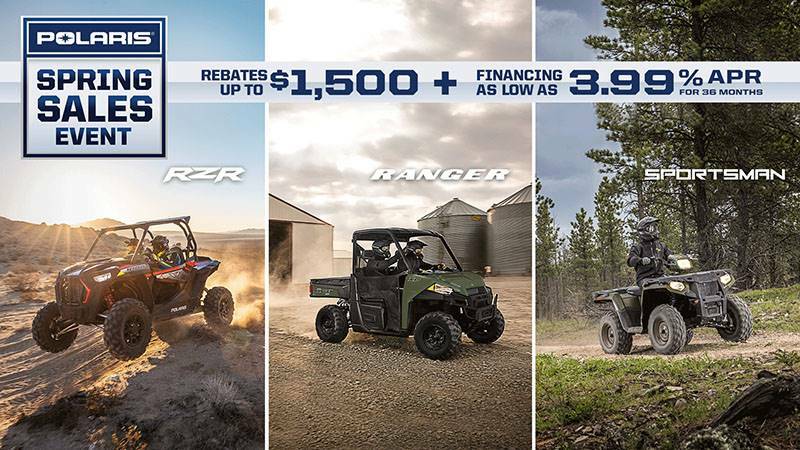 1,500 LB TOWING CAPACITY: The work ethic of Polaris off-road vehicles was instilled into the heart and soul of the Polaris ACE™ including the power and capability to tow loads up to 1,500 lbs. RIDER CENTRIC DESIGN: The revolutionary design of the Polaris ACE™ combines the nimble handling of an ATV and the security and comfort of a side-x-side in a rider centric design. 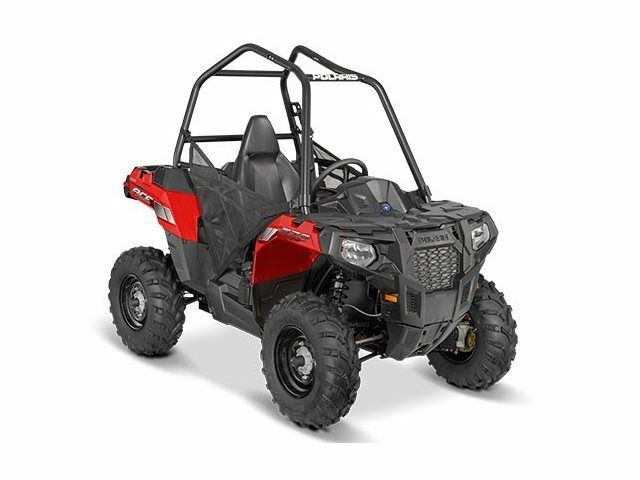 The compact, comfortable, and centralized seating position connects you directly with the machine for the ultimate trail riding experience. BOLSTERED BUCKET SEAT: The secure feeling of the Polaris ACE™ high-back bucket seat is complemented with plush, side bolsters, which deliver both comfort and control by keeping you properly positioned so you can focus on the ride. AN OFF-ROAD EXPERIENCE: The leader in off-road performance has redefined the category again with the revolutionary ACE™. WHY POLARIS ACE™? 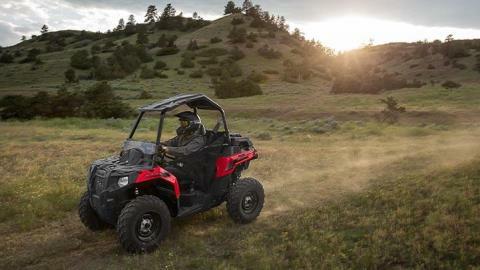 : The revolutionary Polaris ACE™ is a sit-in vehicle that puts you in the center of adventure like never before. Click here to learn more.